Eau Claire Plumbing has its finger on the pulse of the industry and we bring those benefits to the good people looking for help with plumbing in Eau Claire WI. When you need a professional, our 24/7 emergency plumbing services', educated and certified technicians, and latest technology bring the plumbing and HVAC field into the 21st century. 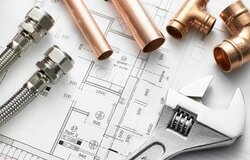 There are so many choices in today's world and certainly the field of plumbing is no different. As a leader in plumbing and HVAC our reputation goes before us with over 57 years of unprecedented service and satisfaction in our community. This makes Eau Claire Plumbing the natural choice for all of your plumbing needs, from new plumbing installations to unclogging your sink. The level of professionalism, insight, and good old fashioned elbow grease brings calm to even the most unnerving situations. With Same Day Service. We offer HVAC services, installation and maintenance on all makes and models of home and business cooling systems, furnace and duct cleaning and repair, yearly HVAC inspections, water heater repair and so much more. At Eau Claire Plumbing and HVAC we make it our focus and goal to educate our clients on all their options. Unlike some that would steer customers towards their most expensive furnaces and cooling solutions for residential and commercial HVAC, we like to present only the most relevant answers to suit your needs. 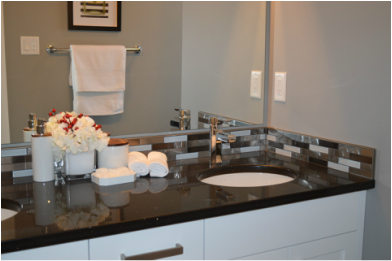 As a plus, a lot of our options are budget friendly, and environmentally responsible. You may think you're getting a good deal with a chain store air conditioner, but did you know that Eau Claire's best HVAC company can help you find a unit that is not only wallet friendly, but one that won't be a drain to pay for each month? By properly calculating the size of the building your system will need to cool, we can keep costly expenses down by preventing frequent on/off cycling of too large units or lackluster performance of ineffective too-small models. If you already have an air conditioner or larger system with duct work and notice increases in utility costs and a decline in effectiveness call Eau Claire Plumbing and HVAC to properly diagnose and remedy the situations. Regularly cleaned coils, condensers, filters and accurately adjusted thermostats give your wallet a vacation, but help you keep your cool when you need it the most. Don't sacrifice your castles' comfort for a cut rate repair service. With Eau Claire Plumbing you can trust that we're available at a moments notice or by appointment every day of the year. When you're looking to take the edge off the summer heat talk to Eau Clair Plumbing. From home AC repair to large commercial central air conditioning we have the man power and the skills to take your comfort off the charts! With an average low of 12 degrees through the bottom of the year, the residents in and around the Eau Claire area know how critical it is to have a dependable and reliable heating system. Don't take the chance that your system could get sick. By scheduling periodic duct inspections and cleaning as needed, your not only adding extra peace of mind to your assets but to your health as well. If you live in an older home and have never had your system checked its a good idea to do so. Overly wet conditions, pipe leakage, rodent issues, aggressively shedding pets, or even the hazards of children and venting can give us pause to consider what really lurks below the surface of our home. Highly recommended for rental units and newly purchased homes, a thorough cleaning can help those that suffer from pet related asthma and allergies as well as molds that can have serious effects especially if the system has sat unused for a season. Our wide variety of systems are not only technologically advanced but much more efficient than models of yesteryear. Because of this technology Eau Claire Plumbing specialists can give you an accurate AFUE recommendation depending on your situation. Higher ratings, such as 90% can be more spendy, but have the trade off of lower energy usage per month costs, something our customers in colder climes can take advantage of. And with the added benefit of a regular certified plumbing services technician performing the required upkeep those warranties are sure to stay in tact, protecting your investment for years to come. Did we mention we service all makes and models? This is the kind of service you expect and the kind we take pride in providing. Any top plumbing company worth their PVC knows that response time can mean the difference of hundreds if not thousands of dollars worth of damage to a home when an emergency plumber in Eau Claire is needed. Recent statistics put non-weather related water damage payouts at 20% of all housing insurance claims. Its no exaggeration to say that a drip of preventative attention is better than a gallon of cure!